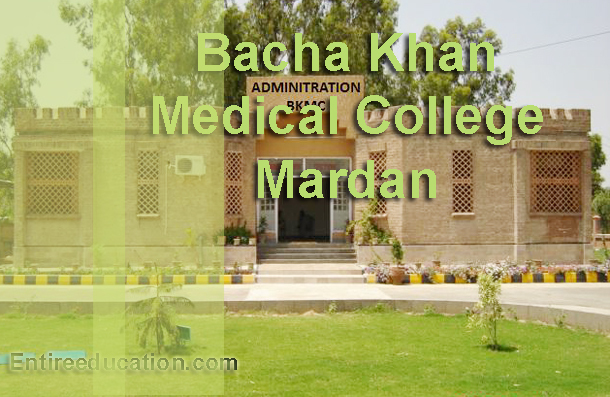 Bacha khan medical college Mardan is a public sector medical college located in Mardan Khyber Pakhtunkhwa. The college was established in 2010. The college offers admission annually and the annual intake numbers of students are 50. The college is recognized by Pakistan Medical and Dental Association (PMDC) and affiliated with Khyber Medical University. The mission of this college is to provide world class health education in the territory, to improve the quality of life for individuals and all this will happen by educating the tomorrow’s physician, health researchers and surgeons. Presently the campus of BKMC is located in the reconstructed building of Mardan medical complex. On the other side a new block with guests waiting area, cafeteria, faculty offices and student affair section is completed and fully functional. This block is named as “Haider Hall” after the ex-chief minister of KPK and founder of BKMC Ameer Haider Khan Hoti. Apart from the above there are some other departments like Islamic and Pak Studies, Medical Education and Audio Visual Dep’t That provide various facilities to the students and teachers during class lectures and research. MBBS is a 5 years academic study program in medicine and surgery. On the other side the college also offers BDS. All the degrees and curriculum are recognized by PMDC and PDA. The annual intake for MBBS degree in 59 and for BDS is 25. The first batch of BDS will intake in the year 2011. Application forms for admission are available in admission office of the institute. Students who are interested in applying for admission are required to submit the admission form with attested academic certificates. Students who have passed the Fsc pre medical exams with 60% marks are eligible for apply. Other criteria is as set by PM&DC. Mardan Medical Complex is affiliated with BKMS as teaching hospital since 2011. The hospital has all major and minor specialties with state of the art equipment. Presently the MMC has two complete phases and the bed strength in MMH is 400. Phase III of the MMH is approved and construction will be started soon. After completion of this phase the hospital is become of the largest hospital in Province with bed strength about 800. If you want to apply for Bacha Khan Medical College then it must for you to appear in KPK Etea test. Bacha is the public medical college in KPK. You should apply on other medical college which will be affordable for you in Punjab or KPK. I am a foreign students (Afghan) but i studied here in Pakistan I have pass my Fsc from Peshawar Model Digree College and I also appear in ETEA medical test but my result was not so bright, now I have intention to study Medicine (MBBS) from BKMC as a foreign student evevn I know the cost which is I think 600,000. Foreign nationals are required to send their applications on the prescribed form to Assistant Director(Academics), Academics Division, Higher Education Commission, Sector H-9, Islamabad, Phone No.051-90402119 & 90402124 through the Embassy of Pakistan in their respective countries or through Embassy of their own country in Pakistan. i’m from punjab,can i apply for mbbs in bkmc on open merit basis?i haven’t given the etea test,rather uhs,i was wondering if i could get admission on it’s basis? Yes, you apply for Bacha Khan Medical College but through UHS Entry Test. When you apply for UHS Entry Test then you also apply for reciprocal seats. .can i get admission in BKMC on open merit seats??? Yes, there is reserved seat for Punjab students in Bacha Khan Medical College. UHS will called you for admission in Bacha Khan if you apply for reciprocal seats. sir plezzz tell me the methed of online admission i want to admission at bmc is it earlier sofar for me to get admission ? i also attened the eata teas bt didnt creat good score. Student for Bacha Khan Medical College should be selected through Khyber Medical University. Sir i am from peshawar i scored 850 in f.sc and 189 in etea test so can i apply for the seat in BKMC. 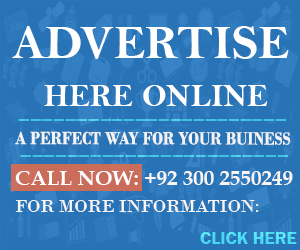 Yes, you apply for admission in BKMC. But merit should be final through Khyber Medical University. Yes, there is reserved seats for the Afgan student in Bacha Khan Medical College. But not on self finance these seats are reserved on merit base. I am afghan and living in Peshawar.I want admission in MBBS.with out self finance. Please give me procedure information. You appear in ETEA Test for admission in KPK Public Medical Colleges. Yes, you will eligible to apply for admission in Bacha Khan Medical College. But you will apply through UHS Reciprocal seats. There are some reserved seats for the student of Punjab. You need to get aggregate of 82% for get admission in Bacha Khan Medical College.